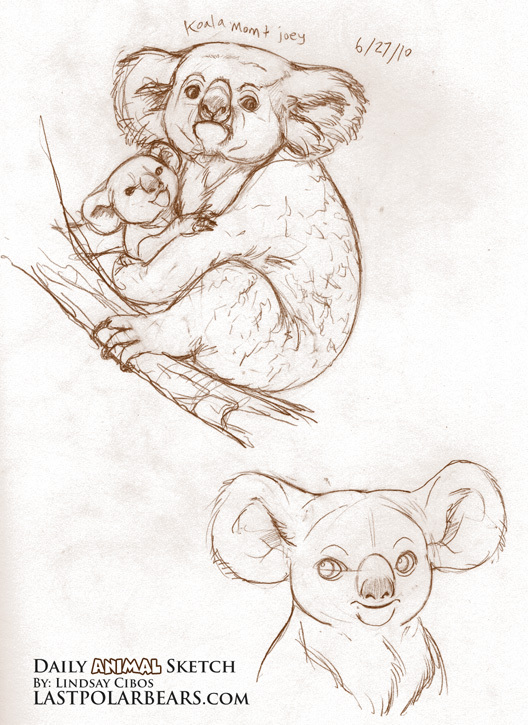 Study of Koala mom and joey. (Plus a simplified toon koala). Source: Referenced from photos taken at the Cleveland Metroparks Zoo by Paula Longshore.